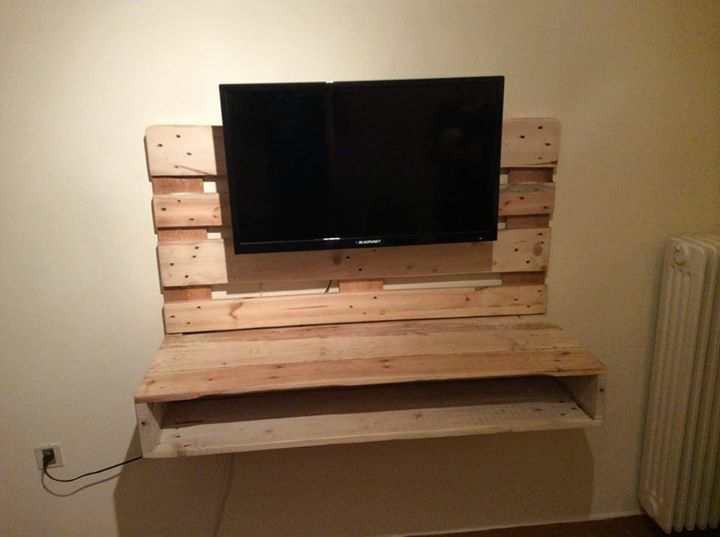 You would surely like this echo friendly pallet made TV stand to be hanged with wall of your room or TV lounge. This is one of most convenient items of pallets made furniture with attractive and rustic look to the environment. 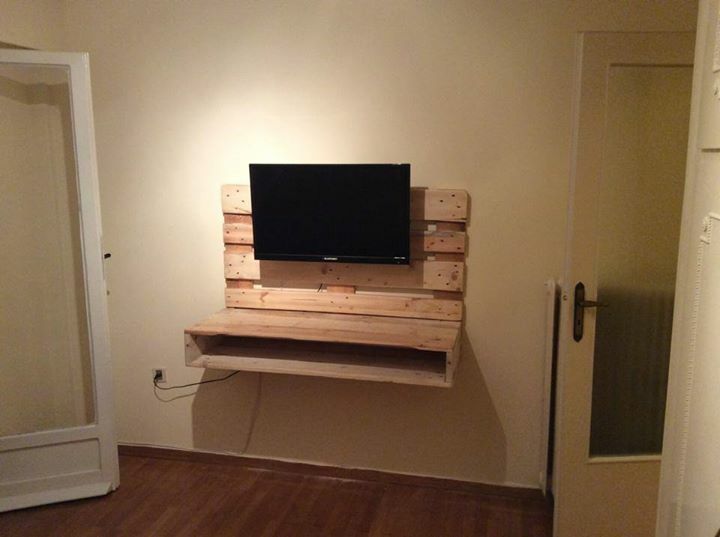 It is very easy to assemble small pieces of pallets wood to construct such a nice looking TV stand. This particular TV stand can be constructed having storage drawers or space in its design to place important items related to TV or whatever. This is quite light weight but durable TV stand to provide good accommodation to TV in your room. Echo friendly pallets made TV wall hanging stand is convenient in the way if you have small space in your room and looking for ways to place TV in your room. In fact TV can be hanged using this echo friendly pallets made TV stand.